Printed copies of these monographs are available for purchase. A study of the benefits of liberalizing the international airlines industry. 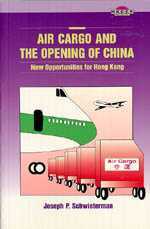 it proposes that the Hong Kong Government should adopt a policy of bilateral open skies and auction off landing slots. 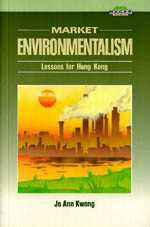 A study of free market approaches to environmental problems and its application to Hong Kong. Special emphasis on water, air and noise pollution. 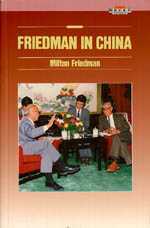 A collection of Milton Friedman's lectures delivered in China during his two visits in 1980 and 1988. Includes Friedman's memorandum to the purged Chinese Communist Party General Secretary Zhao Ziyang and a transcript of their meeting in 1988. 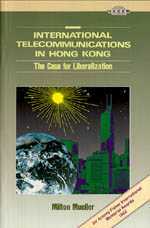 A study of the criticality of international telecommunications in Hong Kong. The author analyzes the theory and practice of liberalization in telecommunications, examines the price of monopoly in Hong Kong, and considers why liberalization would be highly desirable. Awarded second place, 1992 Sir Antony Fisher International Memorial Awards. 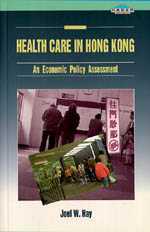 A study of the critical problems facing Hong Kong in health care stemming from the public provision of medical and health services. The author proposes to adopt a publicly subsidized decentralized competitive insurance system called ChoiceCare to improve efficiency and allow greater choice for patients. The building of a new airport in Hong Kong creates an opportunity to review the existing practices and policies regulating the allocation of landing and takeoff slots, access to terminals and gates, and air services agreements for passenger and cargo flights. 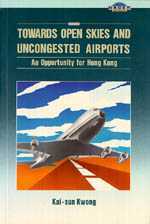 The issue gains additional importance not only because it has implications for maximizing the return on the investment in the airport, but also for the future development of Hong Kong as an economic centre in the Asia-Pacific region. 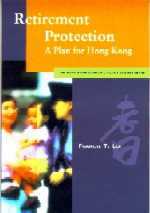 This book explains the contractual basis of the Hong Kong urban and land planning system, and how it encourages growth by protecting private property rights and ensuring economic markets work smoothly and efficiently. 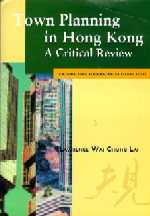 It includes a critical assessment of the recommendations proposed by the Hong Kong Government in its Comprehensive Review of the Town Planning Ordinance. A study of vehicular emissions. It is found that air quality in Hong Kong compares well to that of most major cities in the industrialized world. 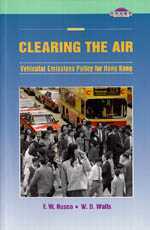 Besides, the authors analyse effects of different public policies on air pollution and show effective ways for pollution abatement. 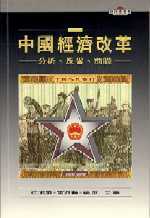 Published by the Chinese University Press in 1995. This study examines the nature and effect of taxi regulation. 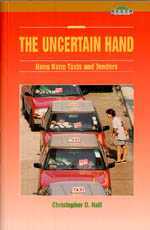 The author finds that the Hong Kong government's regulation of the taxi business has not only increased the risk of owning taxi licences, but also reduced the quality of service. It is suggested that market mechanisms in the taxi industry should not be ignored. A study of regulatory mechanism of Hong Kong scheme of control on electricity industry and its implication for economic efficiency and consumer interests. Measures that can improve this mechanism as well as to enhance competition in the supply of electricity were suggested. This study reviews the liberalization of the gas industries in the United States, United Kingdom, Australia, New Zealand, Japan, South Korea and Taiwan. Although the industry, ownership, and regulatory structure in Hong Kong may not be the same as in those countries and areas, the authors believe lessons can be learned from their experiences. 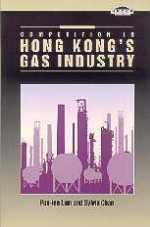 This monograph is a useful reference for government officials, policy makers and people involved in the development of fuel supplies in Hong Kong. 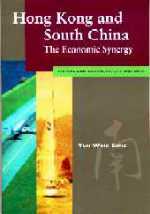 This book is a continuation of the authors' earlier publication, The China Miracle: Development Strategy and Economic Reform (1996). In this volume, the authors review the historical evolution of the SOEs, analyze the current problems, and suggest the direction for future reforms. 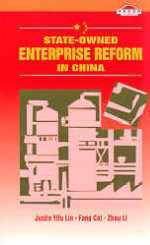 They argue that further reforms can be achieved by eliminating the "unfair competition conditions" confronting the SOEs rather than by realigning the corporate ownership rights as so often suggested. 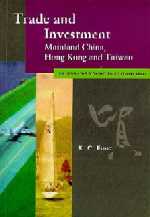 This books asks: Why has Hong Kong succeeded in becoming an international financial centre (IFC)? Will this status survive after 1997? Will Hong Kong meet the competition from other IFCs? 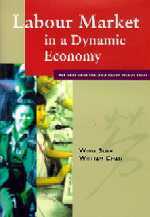 This book provides objective and balanced answers and makes seventeen policy recommendations. This book asks: Must Hong Kong keep manufacturing to survive: What industries and jobs are at stake in the "service vs hi-tech" strategy debate? The answer is we should have both; but the goods sector must take a "design-intensive" strategy with talents from China. Hong Kong has the worlds� busiest container port. Should it build more container terminals despite new container ports being developed nearby in China and Taiwan? How many and how soon? 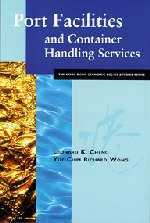 The authors analyze the container handling industry, present the projections of container cargoes, and offer policy options which favour more competition. 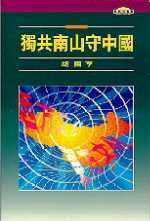 The book raises and answers questions like: What is the nature and trend of trade and investment within Greater China? What local and international laws govern their business activities? How great has their mutual economic impact been? What affects Greater China's trade with the U.S., Japan and the rest of the worlds? How big really are the trade deficits, and what are the key issues of the China trade debate? The author reviews the history of the government's regulatory "Scheme of Control" and asks: What should the right mix of regulation and competition be? 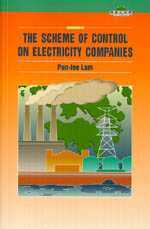 And, how to resolve the conflicts between the private utility firms and the demanding consumers? 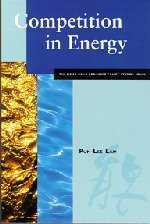 Suggestions made by the author are informed by Hong Kong's economic relations with China and by the British and American experiences in energy deregulation and privatization. Has income inequality in Hong Kong risen or declined? The author wonders if income inequality has come down because of Hong Kong's rapid economic growth which enabled the government to invest heavily in education and public housing. His economic analysis concludes ironically otherwise: Income inequality has risen substantially despite the well-intended education and housing policies. Types and degrees of income gaps in Hong Kong (1976-1991) are documented and some suggestions are made. The author provides an economic and institutional analysis based on transaction cost theories, using official and survey results. 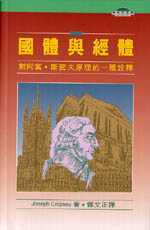 The book is the first to review the history, practice and regulation of the insurance industry of Hong Kong in relation to the China factor. Policy issues discussed are: setting commission rates, reorganizing the middlemen market, exploring new organizing the middlemen market, exploring new organizational structures (mutuals, captives, and reinsurance), and preparing for the Mandatory Provident Fund. 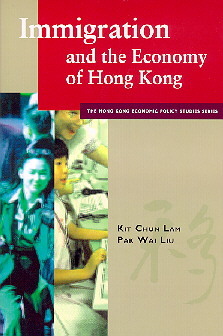 This book analyzed characteristics, strengths, and constraints of the tourism sector of Hong Kong. It also examines Singapore's strategy on tourism and makes five sets of recommendations for Hong Kong - having an integrative mindset in developing tourism, removing barriers for people to come to Hong Kong, tapping China's potentials in tourism, becoming more attractive as a tourist location, and protecting the environment. How far should the Hong Kong Special Administrative Region (HKSAR) government privatize its public utilities? 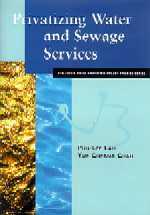 The authors examine the British and American experiene in privatizing public utilities. 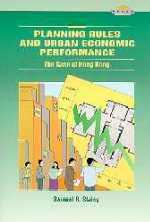 They also review Hong Kong's experience in privatizing utilities such as car parks and road tunnels. 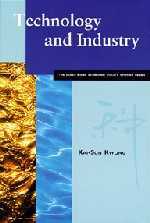 The book argues for the privatization of the water industry. Digitalization of information is eroding old boundaries between broadcasting, postal systems, telecommunications, publishing, and banking. Such a "digital convergence" deeply affects the telecommunication and broadcasting policy in Hong Kong. 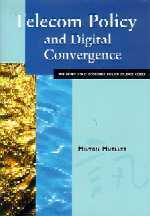 This book analyzes the technological drivers of the convergence process, and forecasts the impact of digital convergence on the market structure of communication, media, computer and information industries. Making a comprehensive critique of Hong Kong's restrictive licensing regime in teleommunications and broadcasting, the book offers concrete proposals for reforming laws and regulations governing the new digital-media services. 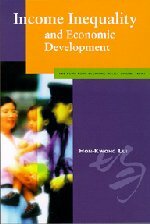 This book addresses Hong Kong's hottest economic issue today: land-use planning and its effects on land supply and the housing market. How land-use planning has changed the contractual nature of property development is reviewed. The three-level planning system and the conflicts between planning ordinances and other development strategies are criticized. The book argues that the Town Planning Bill should be shelved and urges that an economic appraisal of the planning system be carried out. Hong Kong's success of being one of the fastest growing economies in the world is attributed to the resilience and adaptability of the labour force. In search of Hong Kong's key to continued success and future prosperity, the authors reconsider the history and evolution of the labour market, and weigh the available options for the post-1997 era. They find that despite all the breathtaking changes, the old but tested prescriptions of free market economics still offer the surest solution for the efficient allocation of labour resources. Despite low mortality, Hong Kong is ageing fast and pressures to improve health care are mounting. Should taxes be raised or social services be cut? Or, instead, should the public bear higher cost by buying more health insurance? What about other trade-offs such as between hi-tech medicine and preventive medicine? Professor Ho analyzes the economics of these questions. He also suggests better ways to co-ordinate the public and the private health care systems. The key lies in an innovative financing scheme (UEBHIP) to handle rising health care expenditures. Hong Kong's future prosperity more than ever before depends on the efficiency of its financial services, professional services, public utilities and other services. Providing quality services is crucial to Hong Kong's role as a business hub. Are its key economic sectors sufficiently competitive? Does it need a comprehensive competition policy and a competition law? Have the regulated industries been effectively regulated to enhance economic welfare? Can regulation be replaced by competition, and how? 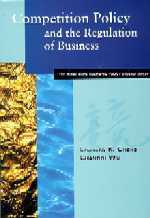 The authors analyze the situation of competition and regulation in ten industries and business sectors. Many recommendations are made. Immigration has not been an important component of the population in Hong Kong. Since 1995, immigration adds more people to the population of Hong Kong than natural increase each year. Is there any adverse economic impact of immigration on Hong Kong? The authors examine the effect of immigration on wages and employment in the local labour market. The book argues that by adopting a three-track immigration policy, the growth of labour force will help maintain economic growth in Hong Kong. More than half of the people of Hong Kong live in heavily subsidized public housing and many are still waiting to be accommodated. 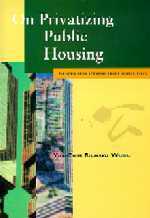 This study shows that, unfortunately, the public housing programme has failed to meet basic objectives of efficiency and equity. How can privatization address these objectives? Considering political consequences, economic benefits, equity effects, social impact and moral dimensions, the author ponders over the hottest economic issue of Hong Kong today and presents several specific policy recommendations. A powerful Chinese Economic Area (CEA) comprising Hong Kong, Mainland China and Taiwan is emerging with Greater Hong Kong (Hong Kong-Guangdong) as the core. 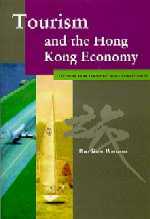 This book asks questions like: What is the nature and trend of trade and investment within the CEA and within Greater Hong Kong? What are the barriers to the economic integration of the CEA? What policies should be pursued to enhance economic integration? What is the prospect of Hong Kong as China's gateway? Will Shanghai threaten Hong Kong's role? 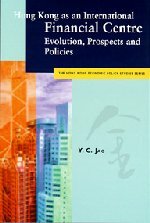 What are the effects of the Asian financial crisis on the CEA? What are the economic and business consequences of the "retirement boom" that will hit Hong Kong soon? What sort of retirement plans are viable and acceptable to employers, employees and the government? 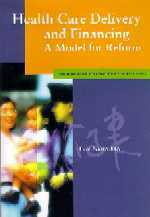 Drawing on the experiences with social security systems in many countries, this book evaluates Hong Kong's old pay-as-you-go (PAYG) proposal, Singapore's central provident fund (CPF) scheme, and the mandatory provident fund (MPF) plan. 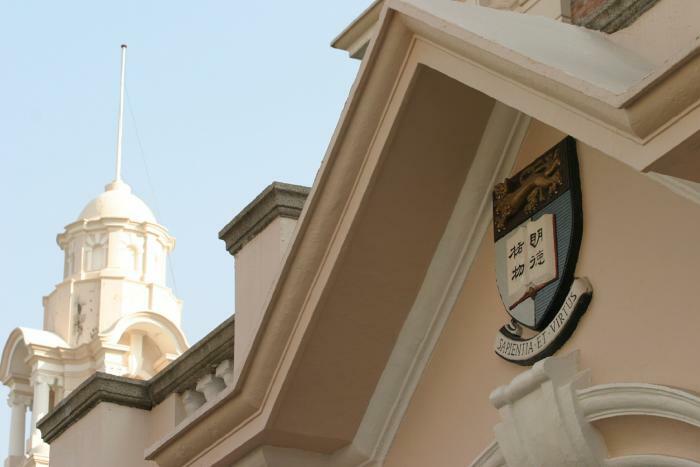 Details of the MPF legislation of 1998 are given, along with policy recommendations and suggestions for stakeholders in the private and public sectors.